Anyone Here Any Good At PC Troubleshooting? 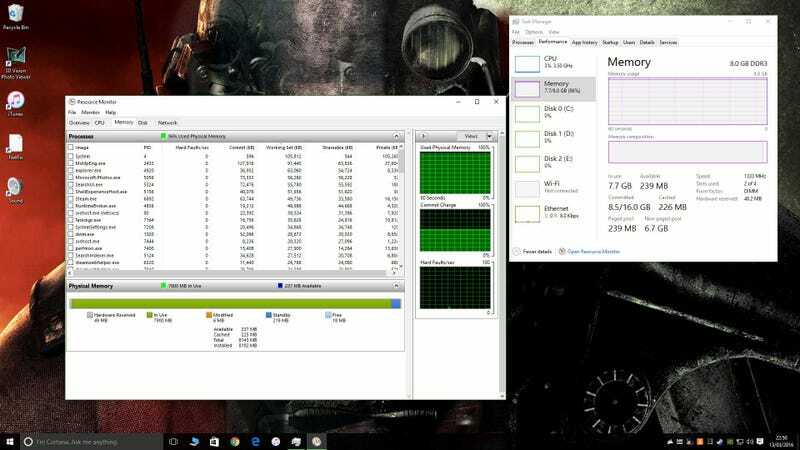 I’ve got a friend who’s experiencing massive RAM usage, with no apparent process behind it. If I were having the problem myself, I’d just beat my head against it until something worked, but that’s difficult to do over an IM chat, so I’m trying to be smart. I’m reasonably sure it’s not malware - and I’m going to have him run a full scan to be sure - so I’m thinking driver memory leak?